If confirmed, the White House chief of staff will replace outgoing Treasury Secretary Tim Geithner. WASHINGTON – President Obama nominated White House chief of staff Jack Lew to be secretary of the Treasury on Thursday, declaring his complete trust in an aide with three decades of Washington experience in economic policy and a penchant for shunning the limelight. 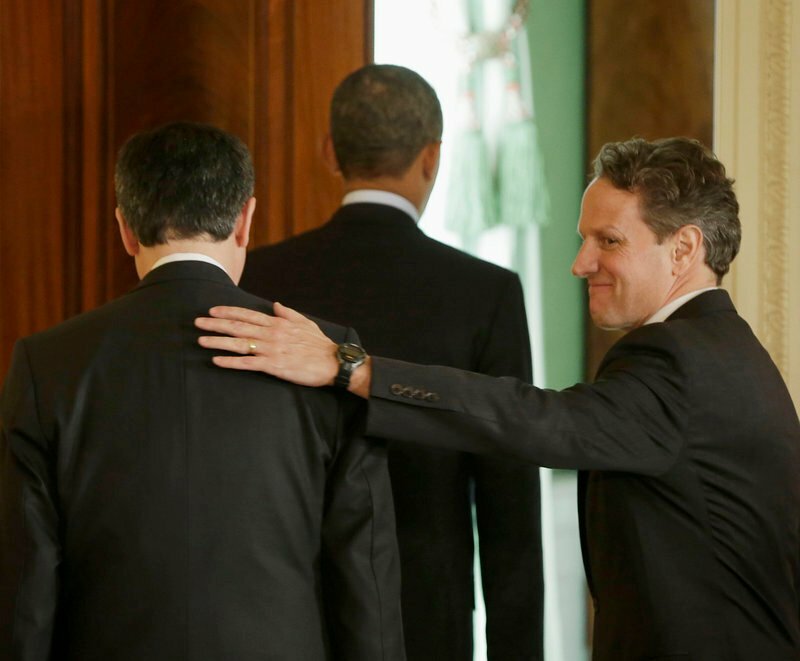 “He is a low-key guy who prefers to surround himself with policy experts rather than television cameras,” Obama said, announcing the nomination flanked by Lew and outgoing Treasury Secretary Timothy Geithner. The two men and their backgrounds illustrate the nation’s changing economic landscape: Geithner, a longtime banking specialist with the Treasury and the Federal Reserve who took office in 2009 at the height of the nation’s financial crisis and Lew, the budget expert as the government struggles with its debt and deficit challenges. Obama heaped praise on Geithner for addressing the Wall Street meltdown and shepherding an overhaul of financial regulations through Congress. “When the history books are written, Tim Geithner is going to go down as one of our finest secretaries of the Treasury,” he said. Obama delighted in singling out Lew’s loopy signature, a distended Slinky-like scrawl that captured media attention Wednesday, joking that when he became aware of it he considered “rescinding my offer to appoint him.” If confirmed as Treasury secretary, Lew’s signature will appear on U.S. currency. A year ago, almost to the day, Obama selected Lew as his chief of staff, taking him from his perch as director of the Office of Management and Budget into the White House’s tight inner circle. If confirmed, Lew would assume the post in time for the administration to tangle anew with Republicans over a confluence of three looming fiscal deadlines — raising the $16.4 trillion federal borrowing limit, averting automatic spending cuts to defense and domestic programs, and the expiration of a congressional resolution that has been keeping the government operating. Those three events, if unresolved, would have a far greater negative effect on the economy than the “fiscal cliff” that Obama and Congress avoided a week ago.